Though cancer treatment shouldn’t be undertaken without consulting a licensed medical practitioner, cancer fighting essential oils can be used to complement the effectiveness of conventional cancer therapies. These Young Living Essential Oil applications should continue until the cancer is in remission. It was identified that cancer fighting essential oils effectively kill cancer cells while being non-toxic to normal cells (non neoplastic cells). Some of the most effective oils studied included sandalwood essential oil which inhibited growth by up to 90% of several different types of cancer cells (cervical, breast, skin and prostate) even at very small concentrations while having little or no harmful effect on normal cells. Thyme, grapefruit, and thyme linalool also showed low normal cell toxicity and strong anticancer action. Oils rich in limonene, such as lemon, orange, tangerine, and Idaho balsam fir have been shown in clinical studies to be useful as cancer fighting essential oils. Studies using 1-15 grams a day of limonene in very advanced cancer patients resulted in almost 20% of the patients going into remission. For getting maximum effect from Young Living Essential Oils, strong cleansing and nutritional building programs are required. Many Researches has shown following three programs, which have a profound effect on any cancer treatment. Intensive cleanse with Cleansing Trio and JuvaTone. Modified Burrough’s Cleanse using cayenne pepper, lemon juice, and agave nectar. 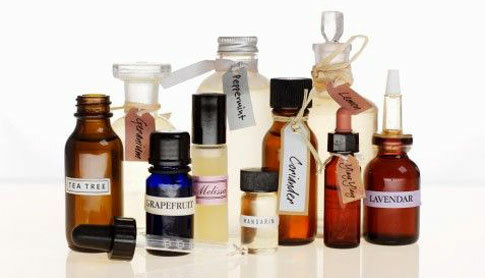 Cancer fighting essential oils is most effective when used in early stages of all cancers. One more thing to remember during treatment is to alter and vary essential oils, so that cancer cells do not build resistance to treatment. ImmuPro, VitaGreen, Super C Chewable, ImmuneTune, Essential Manna, Power Meal, Thyromin, Exodus, Sulfurzyme, Mineral Essence, Essential Omegas, Rehemogen, Berry Young Juice, Royaldophilus.